Armed with a working holiday visa and a desire to fund your travels, you are ready to find a job! 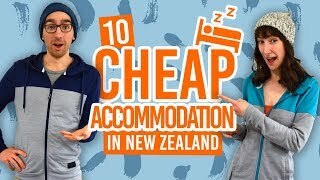 Backpackers are able to choose from a variety of jobs in New Zealand. Some land their dream job on the slopes or sailing the seas. Others can experience New Zealand culture through WWOOFing, farm work and au pair. Build on skills you learned at home (and of course learn new skills) in retail and hospitality. Every job has their perks, so read our TOP list to see why some backpacker jobs are simply excellent. 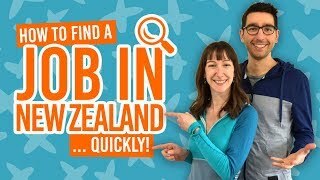 And remember, we have heaps of advice on how to get a job in New Zealand starting here and we have hundreds of live job listings for backpacker on our Job Listings page. It’s the dream, right? Get a lift pass for free so you can ski or snowboard all season! Find out more at What it is Like to Work on a New Zealand Ski Field. Make a difference by rebuilding Christchurch! A great way to get one of these jobs in Christchurch is with a recruitment agency. They work closely with construction companies to pair works and jobs as quickly as possible. Work as a team and make loads of cash, especially if you are paid per piece, plus, this work will help you extend your working holiday visa. Check out the picking seasons here. Being part of a boat crew is an awesome way to explore New Zealand’s waters. There are some work for accommodation opportunities also on sail boats. Be part of a true New Zealand lifestyle. Find out more in Seasonal Work in New Zealand’s Dairy Industry. Be the one in charge over your fellow backpackers! It’s also another way to work for accommodation. Be the one pushing people from bridges… (in bungy jumping, obviously). Also, enjoy the perks such as free activities and trips! There are so many sheep in New Zealand, we need all the help we can get! Not exactly a job but you give back to New Zealand while staying in beautiful locations. Check out how you can work for the DOC in How to Volunteer for the Department of Conservation of New Zealand. Learn and develop skills to bring back home with you. An exchange, rather than working for a wage. Work 3-6 hours a day for food and accommodation, while experiencing an authentic New Zealand lifestyle. More information can be found at Everything You Need to Know About WWOOFing in New Zealand. Be an extra in New Zealand’s next big blockbuster! If your English is top notch, the commission will help you get back on the road in no time. We list 9 Reasons Why Charity Fundraising is an Awesome Backpacker Job.